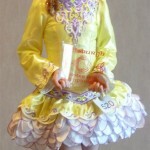 Very beautiful Shauna Shiels/Doire Dress Designs championship dress (in Doire Dress Designs 2010 web gallery at DD100154). 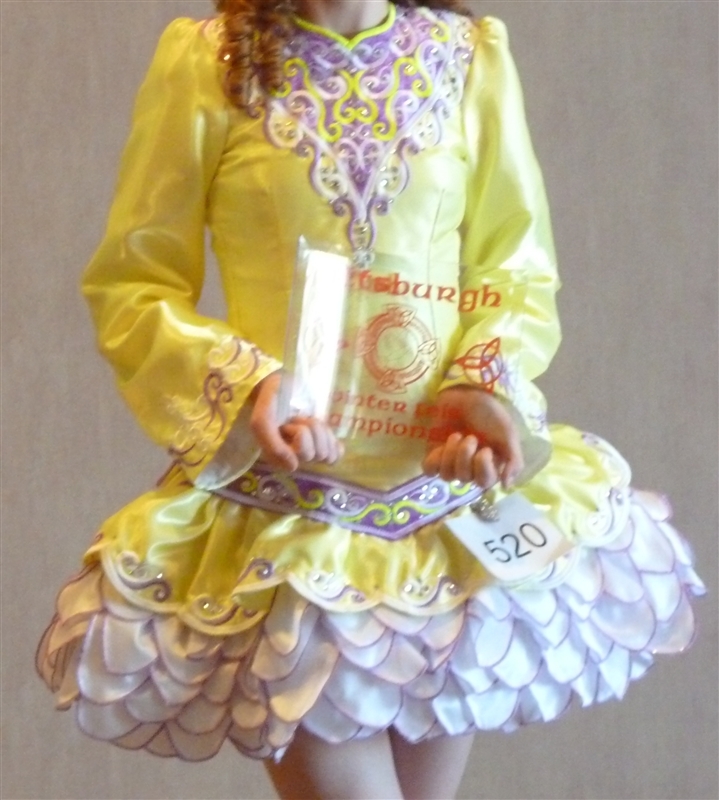 Made in late 2010 for our U12 5′4″, 95lbs championship dancer. 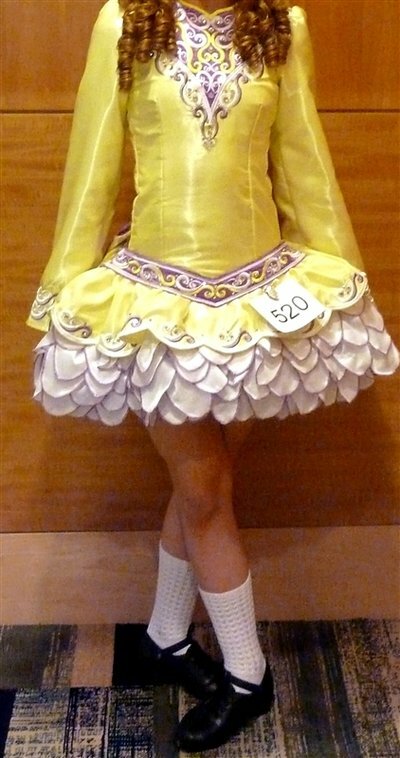 Bright yellow with white tinker bell skirt and violet highlights. 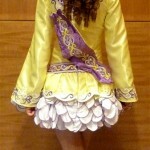 Hundreds of crystals on the bodice, belt and skirt petals. Two sets of sleeves (sleeves not shown are in “bo peep” style). Cape, bloomers and headband included. Excellent condition. Meticulously cared for. No odors, stains or tan marks. Smoke free home. Stored flat. Additional photos upon request. Approximately 2 inches of let out at the chest in the back. Asking Price: $US1100 obo. Shipping costs are included for my own country, overseas shipping is extra. Will accept returns and refund the cost of the dress, buyer to pay all shipping costs.